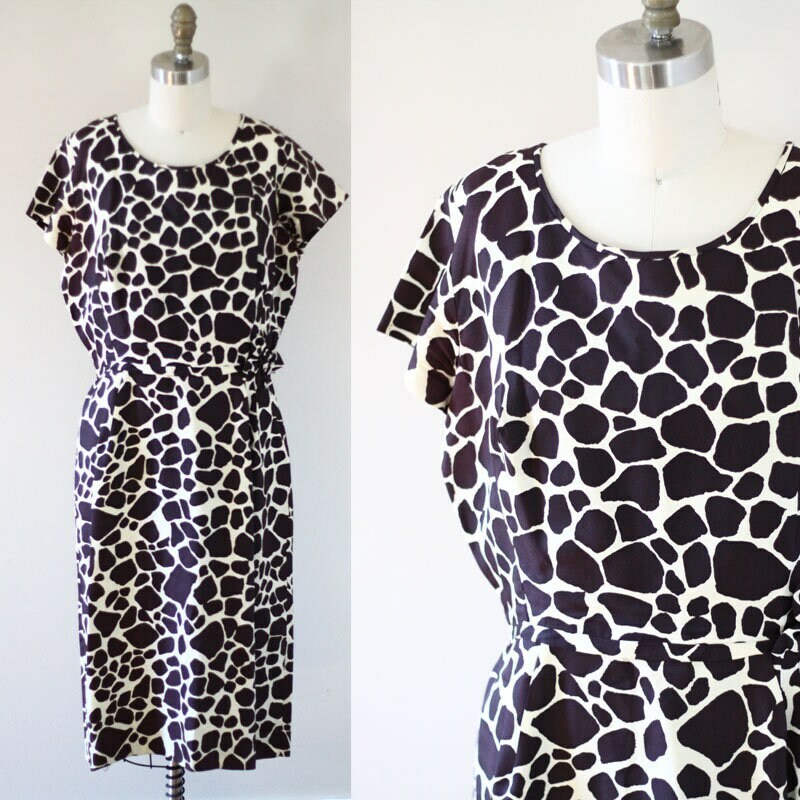 1960s short sleeve sheath dress with a beautiful scoop neckline in the front an back. 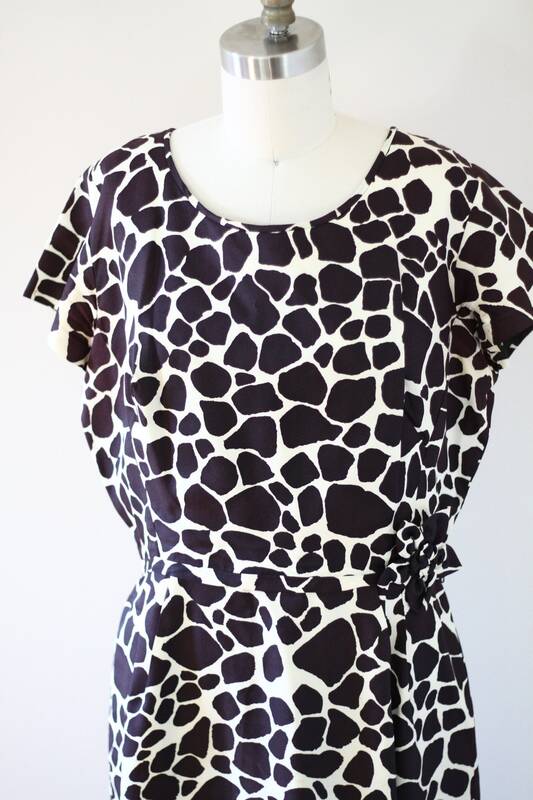 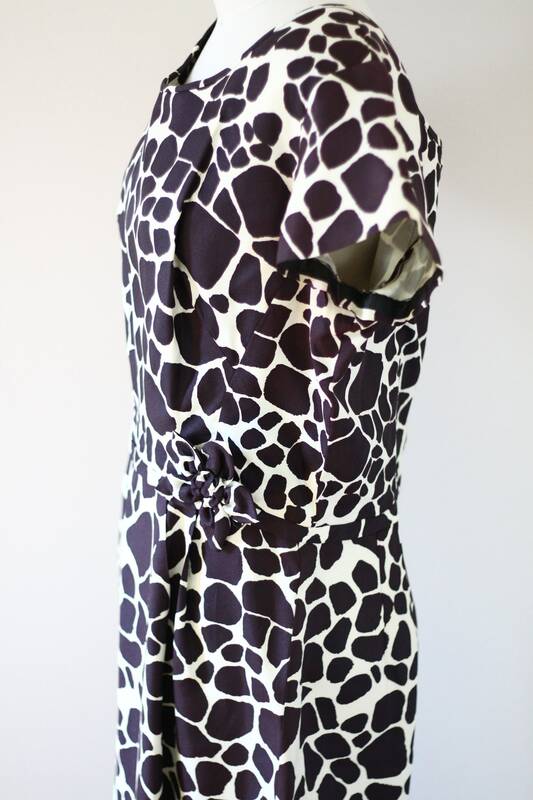 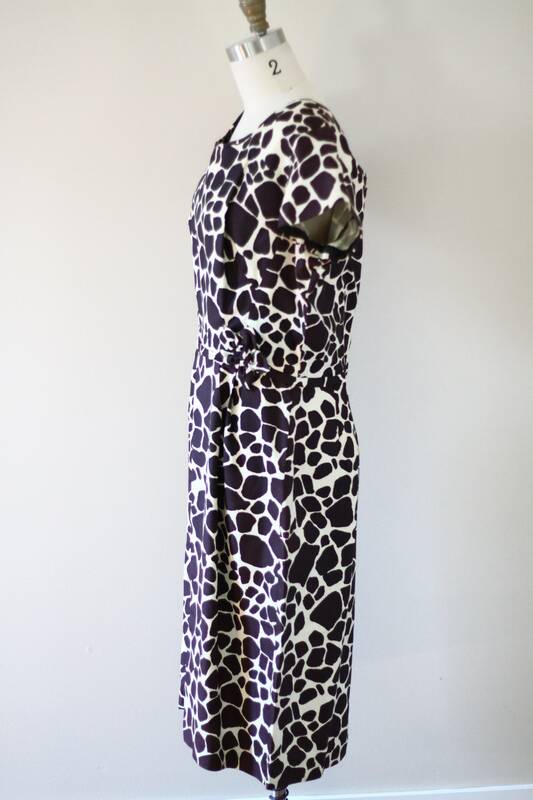 Dark purple and white giraffe print throughout the entire dress. 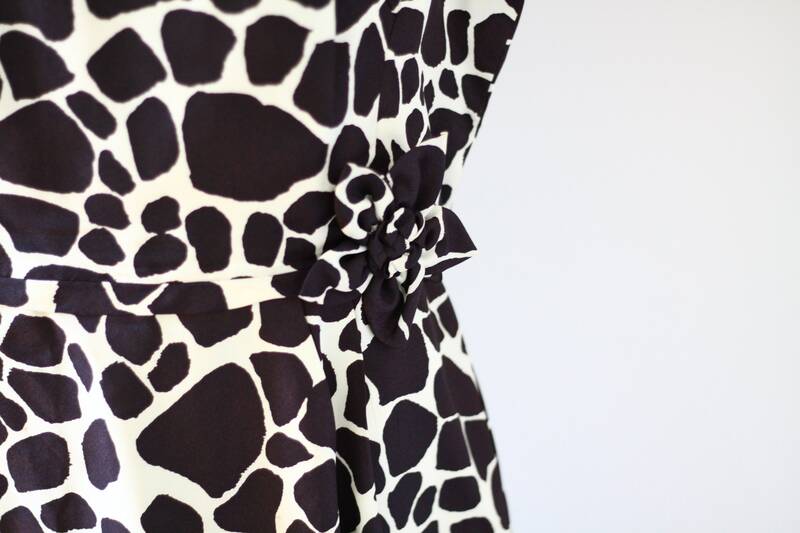 Slight ruching around the waistline and a fabric flower adorning the hip. 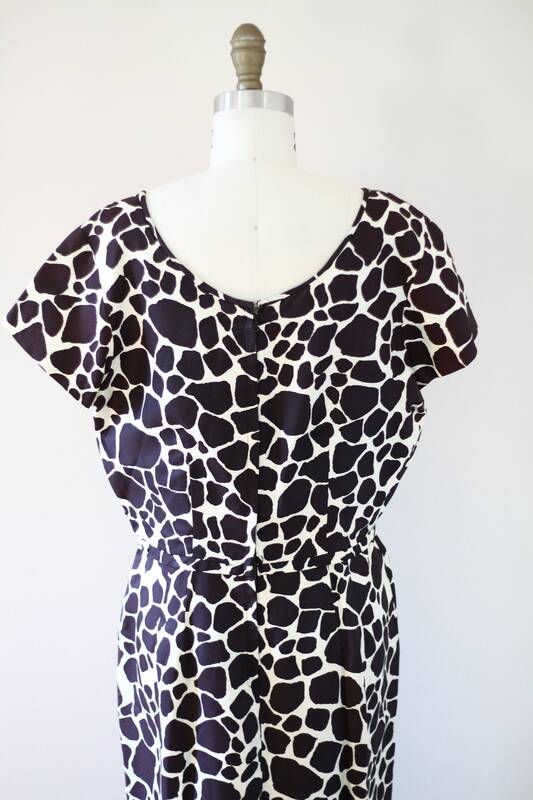 Zipper running up the back of the dress for closure. 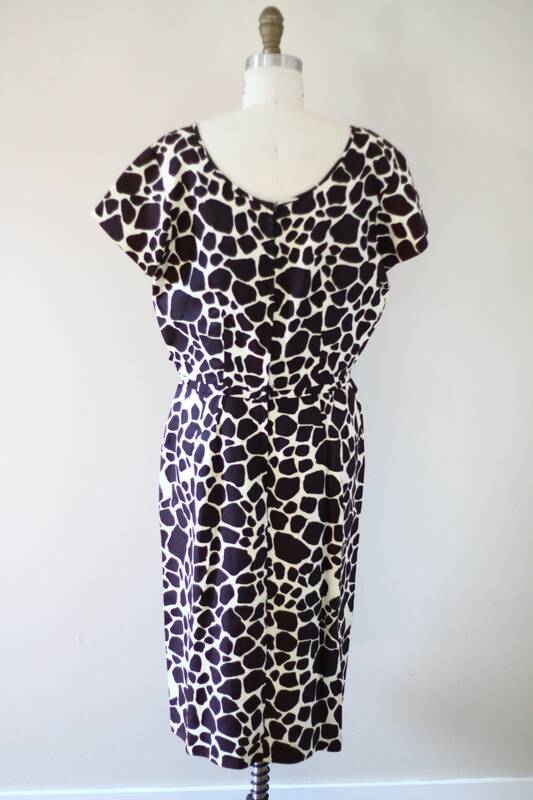 Dress is a light fabric that would be perfect for the summer.